Crazy Bulk Clenbutrol is a safe alternative to the popular fat loss drug Clenbuterol. 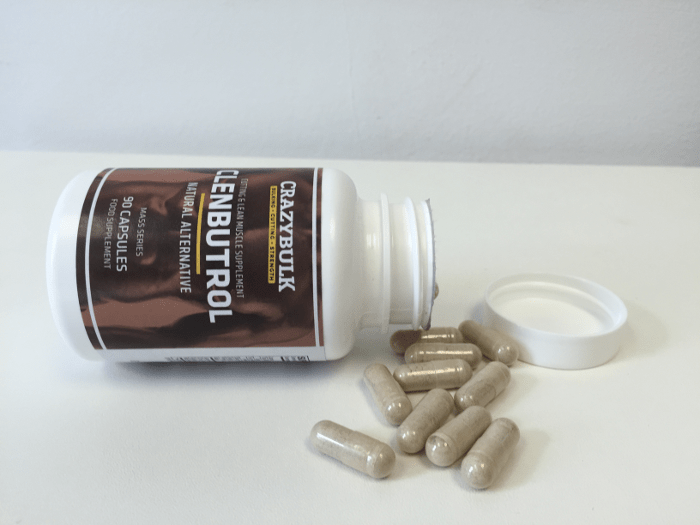 Bodybuilder’s, runners, swimmers, and celebrities have been using Clenbuterol for decades in order to shed body fat and retain lean muscle. Crazy Bulk wanted to create a natural supplement that could compete with this powerful drug and they did just that. 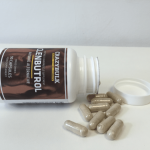 Clenbutrol offers all the positive benefits that Clenbuterol does without the negative side effects. Clenbuterol is mainly used for cutting cycles in order to retain lean muscle mass while shedding fat. Clen can also be used during a bulking cycle in order to keep body fat levels in check while gaining muscle mass. Clenbuterol has been sold under different names including Spiropent, Ventipulmin, and Dilaterol. It is used in the medical field in the treatment of breathing disorders and as a strong decongestant. People with chronic asthma have been prescribed Clenbuterol as a bronchodilator to help improve breathing. While Clenbuterol is approved in many countries with a prescription for asthma patients. It is not approved by the FDA and is not legal in the United States. Clenbuterol is also a substance that has been banned by the IOC International Olympic committee. While Clenbuterol has been used in the treatment of breathing disorders it has gained its fame as a popular weight loss drug and fat burner. Bodybuilders and fitness models often add Clenbuterol to their steroid cycle to help get into competition shape. Clen is also a well-known fat loss agent that has been used by famous celebrities. Britney Spears, Victoria Beckham, and Lindsay Lohan have all used Clenbuterol to lose weight. For the most part, Clenbuterol is considered a mild drug but it does have side effects that can be harsh. Clenbuterol is a strong thermogenic, meaning it increases the bodies internal temperature, it helps burn calories at a fast rate. As your body temperature increases so does your metabolism allowing you to burn more fat. Clenbuterol also gives you a boost of energy and increases cardiovascular endurance allowing you to train longer with more intensity. We should note that just because Clenbuterol is a powerful weight loss agent it will not help you lose weight all by itself. In order to get the best benefit from this weight loss drug, it is necessary to follow a proper diet and exercise plan. In other words, without some effort, it is not going to magically melt the fat off of your body. Clenbuterol does have side effects that should not be overlooked. Most of the side effects of Clenbuterol come from its stimulant properties. The most noticeable side effect of Clenbuterol is feeling nervous and jittery. The severity of the side effects will vary from person to person. As you can see Clenbuterol does have some quality attributes but for many men and women they might not be worth suffering through the side effects. For those looking for a safe alternative, Crazy Bulk Clenbutrol is a solid option. Crazy Bulk Legal Clenbutrol mimics the powerful thermogenic effects of the drug allowing you to burn fat and lose weight. Clenbutrol increases the body’s internal temperature levels and accelerates the basic metabolic rate (BMR), the body naturally goes into anabolic state and then starts to use stored fat as a fuel source instead of muscle. Clenbutrol is popular because of its powerful properties, drugs containing stimulants do deliver fast results but can also be harmful. Crazy Bulk Clenbutrol is the only real alternative to Clenbuterol that produces similar results. Plenty of thermogenic products use ephedrine as a main ingredient in their blend, even though it makes the body become jittery and unstable, Clenbutrol, on the other hand, is 100% ephedrine-free. Clenbutrol is a natural supplement meaning that it’s completely safe and healthy to consume, Crazy Bulk recommends users to take three tablets a day, one with each meal in order to maximize results. For best results Crazy Bulk recommends taking Clenbuterol for 2 months. Clenbutrol can be stacked with Winsol, Anvarol, and Trenorol for maximum results. Oral Clenbuterol pills are completely safe to use with no side effects. 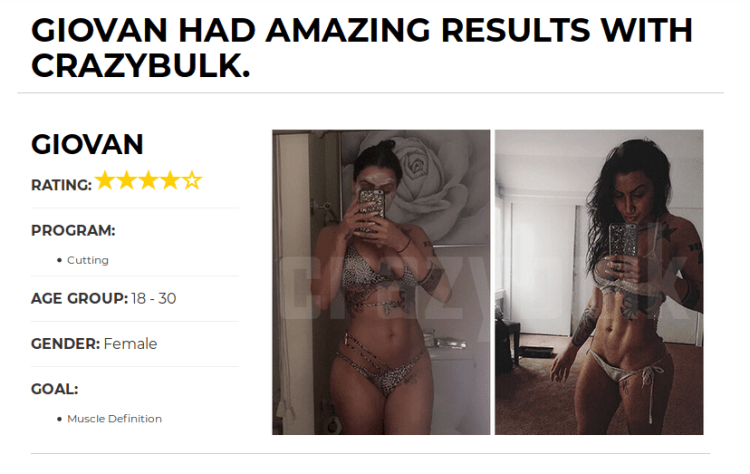 If you are looking to transform your body for summer, the beach or simply just to look and feel good the Crazy Bulk line has everything that you need to obtain that physique you dream about. 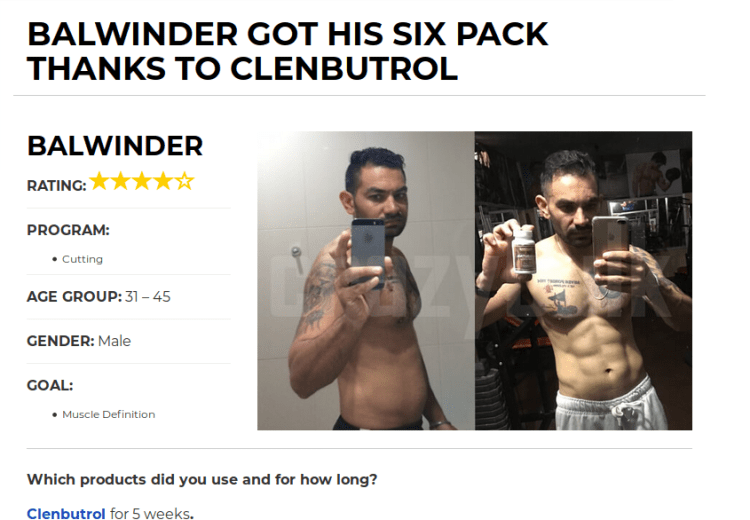 Who Should Consider Taking Legal Clenbuterol? If you are serious about training and losing body fat. Crazy Bulk Clenbutrol will deliver results fast. Men will benefit from Clenbutrol's ability to help burn fat while maintaining lean muscle. Women will love the fat burning effects that it offers plus, it can be essential during fasted cardio or strength training sessions. Crazy Bulk Clenbutrol has been around for several years and has built up a solid reputation. It is one of the few companies that offers proof that their products work. There are dozens of customer testimonials from men and women who have used the product with incredible results. Where to Buy Legal Clenbuterol? Crazy Bulk Clenbutrol can only be purchased from the official website this will ensure you receive a genuine product along with free worldwide shipping. One bottle of Clenbutrol cost $ 61.99, currently the company is offering a buy 2 get 1 free on all products. If you have been considering taking Clenbuterol but you are not willing to risk the side effects associated with the drug Crazy Bulk Clenbutrol is your best option.